Can I see the profitability of my jobs? Yes, you can see the profitability of your jobs AND of your groups of jobs. Your profitability is the hourly amount of money a job is worth based on the time you spend on the job and the amount you invoice to your client. Let's say you have a 1,000 words translation job that you invoice at the rate of €0.15 per word. It means you will invoice your client for a total of €150. Now, if you spend 2 hours on this job, your profitability will be €75/hour. On the other hand, if you spent 4 hours on this job (because your client keeps coming back with new versions, for example), your profitability will be much lower: €32/hour. LSP.expert gives you your profitability for each job, and even for your groups of jobs (projects). If a job is marked as "Finished" or "Invoiced" and you have tracked your time for it (see time tracking), LSP.expert will display your profitability in the details of the job. If you outsourced the job to a supplier and tracked your own time on the job (for project management, file preparation, layout, etc. ), LSP.expert will calculate your profitability, but only on the job's margin. For example, you have a €100 job that you outsource to a supplier for €70. Your margin is thus €30. If you spend 1 hour on the job (layout, etc. 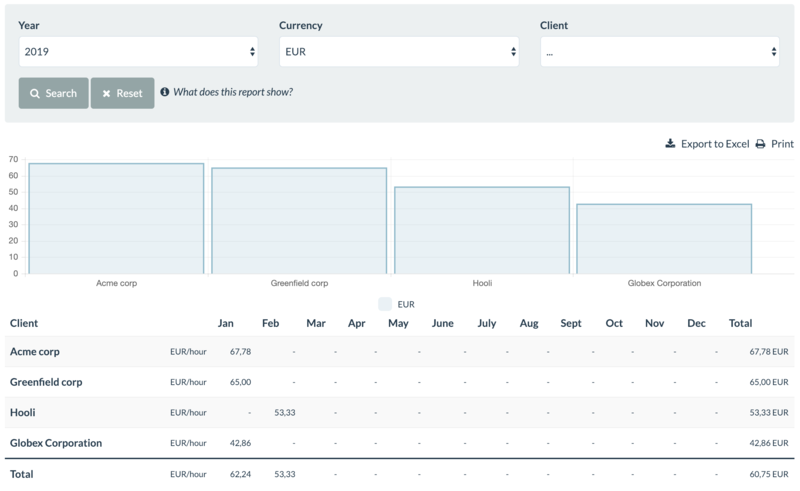 ), it means your profitability is €30/hour. 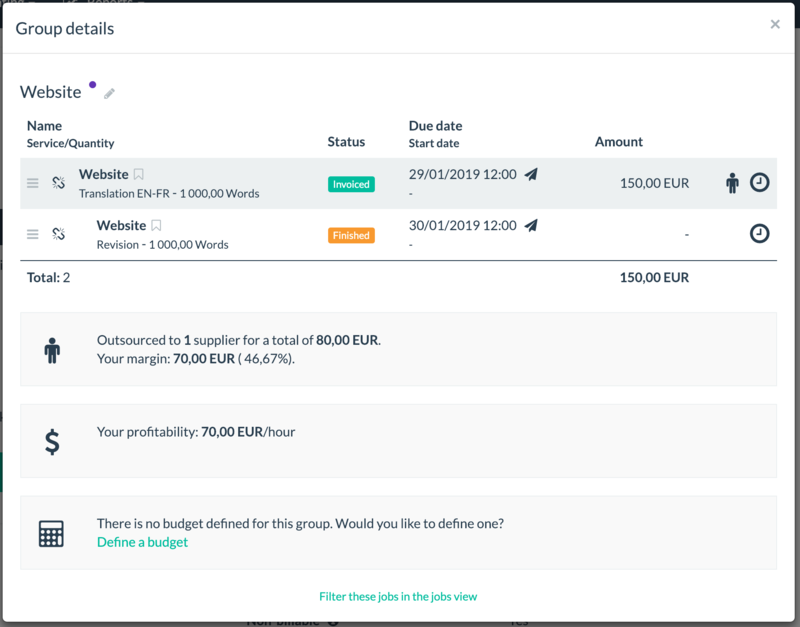 If you group several jobs together (see our article on grouping), LSP.expert will take into account all the jobs in the group to calculate your profitability. For example, you have a 1,000 words translation project that you invoice to your client for €150. You decide to outsource that job to a supplier for €80. In your service, you always include a revision, so you create a dependency job called "revision" (linked to your translation job) and you mark it as non-billable. You have a total of €150 for your group. You indicate that you spend 1 hour on the revision job. 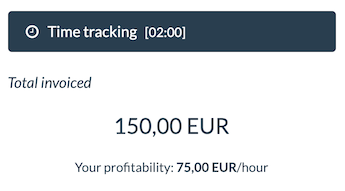 Your profitability is thus €70 (€70 (margin)/1 hour). There is also a report that tells you who your most profitable clients are. This report is called "Profitability by client".